Apartment rentals, starting from one night, open all year round. 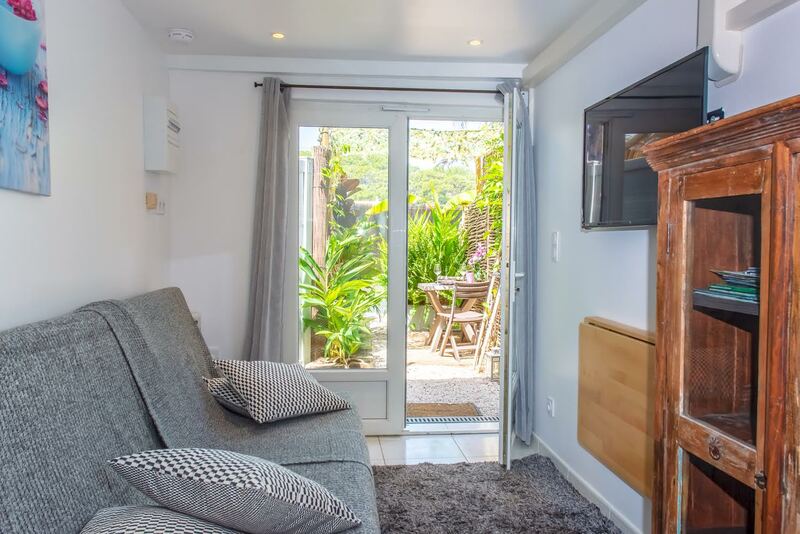 Situated in a protected property on a private road, Tilou Location proposes four 3*-4* fully-equipped apartments, ranging from 15m²-40m², on Giens Pensinsula in Hyères (Var) on the French Riviera. Our rental apartments are located just minutes from the Almanarre, La Badine and La Begerie beaches and from the La Tour Fondue pier to the Golden Islands : Porquerolles, Port-Cros, Le Levant. Bike rental, concierge services, catering services, management of late arrivals, laundry, luggage storage, free WiFi and private car park, boutique on site for all the everyday purchases. 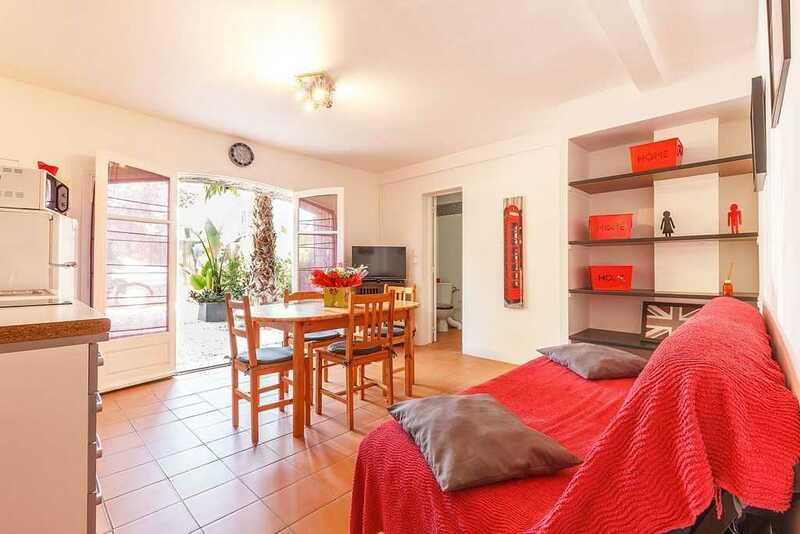 Superb and vast 40m² studio with private adjoining garden, private terrace, and car park. 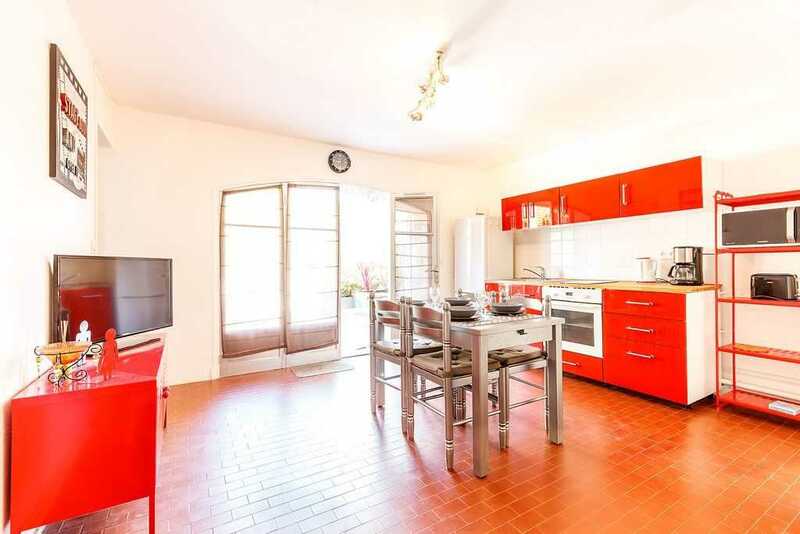 Vast 40m² apartment with private adjoining garden, private terrace, and car park. 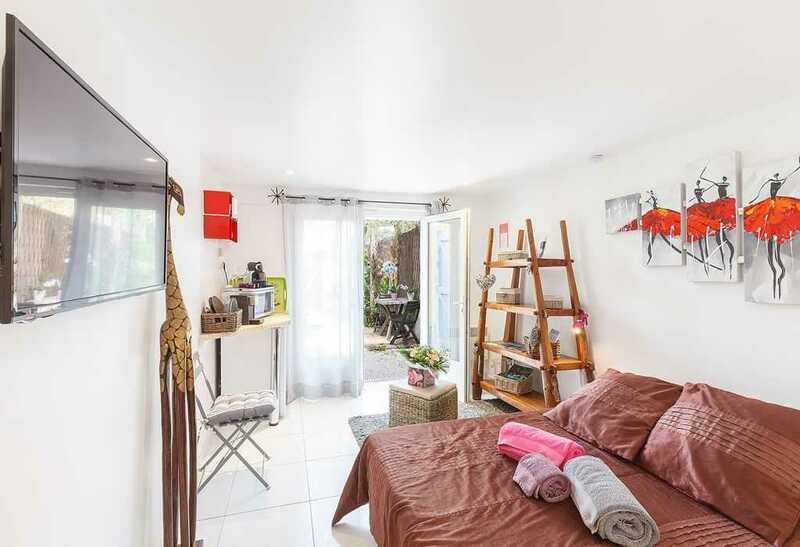 Charming single 17m² room with private adjoining garden and car park. Superb single 15m² studio with private adjoining garden and car park.